When we think Southern style, we think bold pieces, mixed prints, and effortless styling. It’s no wonder, then, that as we prepare to update our spring wardrobes, we’re looking to our friends in Austin, Texas, for inspiration. After all, when the temperatures hit 70º (actually on the mild side for the Lone Star State), we’d prefer to be outside enjoying a glass of rosé, not in front of our mirror putting an outfit together. From the perfect off-duty tee to edgy accessories (think black camo slides and silver hoops, because gold is a bit overdone, don’t you think?) these are the essentials Austin girls are adding to their Walmart shopping carts at the moment. Shop them for yourself below. 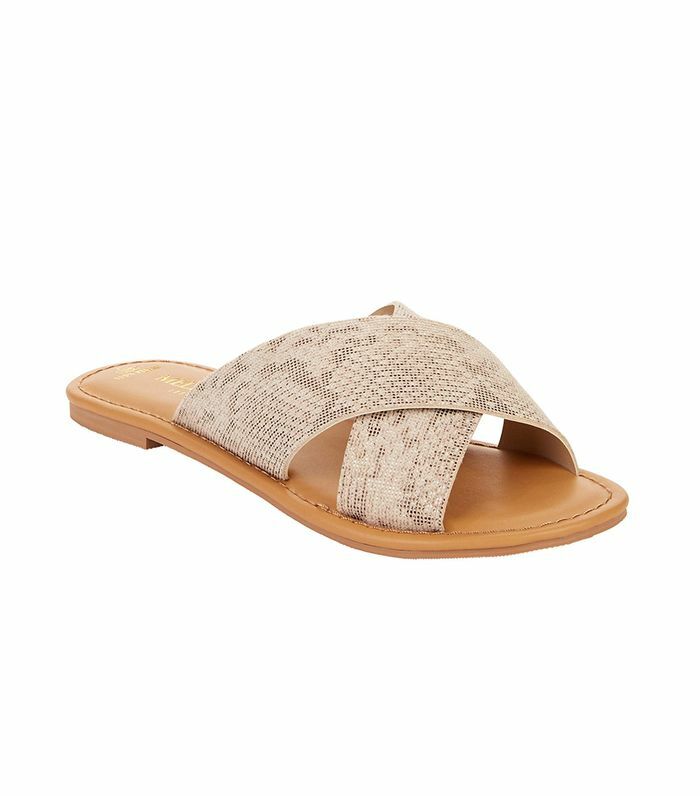 Carry over the animal-print trend into spring with these vegan snakeskin slides. This western style blouse is the perfect everyday look. While other fashion girls may be opting for barrettes and hair clips, Austinites will be sticking to hats (all the better for beating the Texas heat). High-waisted flares feel fresh for spring among a sea of straight-leg jeans. Trade in your tote bag and lean into the tiny-bag trend with this petite purse. The perfect silver hoops? Check. We love this flattering cream color. The pop of tortoise shell on these sunglasses make them infinitely more interesting than a plain black pair. Take your denim jacket up a notch thanks to this patchwork detailing. Practical and stylish, the utility trend is big for spring, and this subtle camo print nails it.